DuckTales 2 has been high on my wanted list for a while. So I was excited to finally find a copy at The Grid, a local electronics store with retro games donated to various Goodwill stores in the southeast. The $109 price tag was appealing to me, because that was about 15-20 percent off of the market value of the game at the time. And as you can see, the condition looks fantastic. I usually don’t test games in-store before I buy them, but I had to with a game that I’m spending a day’s wage on. It booted up perfectly the first time. So without even looking at anything else in the store, I brought it to the cashier, who proudly explained that the store always tries to price their games lower than the prices you’d find on eBay (which in this case, was definitely true). I never played either DuckTales when I was kid. My interest was sparked in this game after several retro gaming friends had raved about the game. So I decided to pick up the Remastered version for Wii U (it was also released on PS3 and XBOX 360), which is ridiculously fun. DuckTales 2 also has one of my favorite covers. The colors are vibrant. The action looks exciting. Capcom games in general had fantastic cover art, even though some of them (such as Mega Man) has really odd images. Even by Capcom standards, this cover is stellar. And with Scrooge McDuck using a map to find treasures on the cover, it actually reflects the actual narrative of the game. 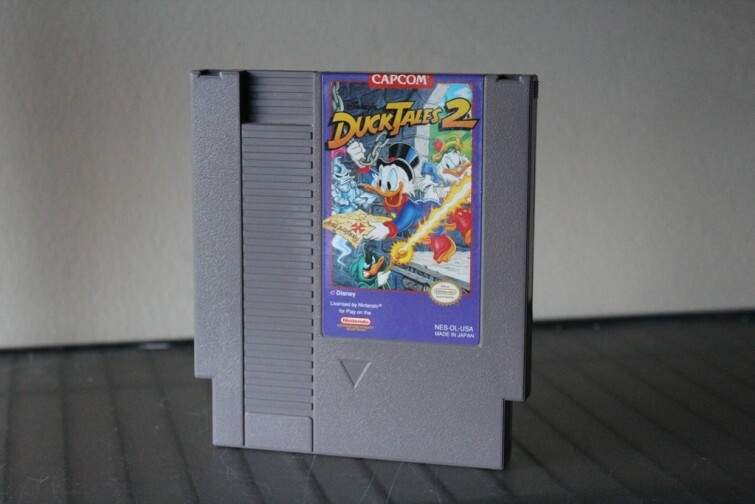 After Snow Brothers, this is currently the most expensive NES game in my collection. In 2016, I intend to shift my focus more towards the heavy hitters on my wanted list. This purchase brings my collection from 360 to 361 NES games. For the rest of the entries of NES Quest, check them out right here on Retro Chronicle.